Get the best return on your trade-in at Bill Luke Chrysler Jeep Dodge Ram. Use our tool to appraise your vehicle. Are you looking for a new vehicle? Bill Luke Chrysler Jeep Dodge & Ram is located in Phoenix Arizona off of I-17 and Camelback. We have over 2,300 vehicles in stock from new and used! We are #1 Certified Pre-Owned Truck dealer in the United States for over 5 consecutive years! Bill Luke is Arizona’s #1 Ram Dealer. Scroll through our new revamped website and find your car, truck or van with ease. 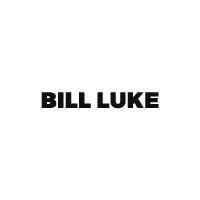 What kind of vehicles does Bill Luke Sell for New? Bill Luke sells Chrysler, Jeep, Dodge & Ram Vehicles. Here is a detailed list of make and model that you can find in our vehicle inventory. Want to keep up with Bill Luke Chrysler Jeep Dodge Ram and what we are doing? Visit our Blog to stay up to date with information asked by you, the consumer. Get ready, start your shopping, and go!